It was a hard decision, but for Hedwig Rossow returning to the country where her Bermudian husband, Colin Lee, was murdered was an opportunity to help the community that had embraced the couple. She never thought the journey would end with her finding love again, let alone a new family for her baby daughter, Shekinah. In November 2005 the couple, who were working for a Scandinavian humanitarian agency helping refugees in Sudan and Uganda, were ambushed and robbed by about 20 rebels as they drove through Sudan. To this day, nobody has been brought to justice for Mr Lee’s murder. After her husband’s death she travelled back to Bermuda for the birth of her daughter, before returning to her native Paraguay. “It was during this time of grief that I realised God’s love was greater than all my pain,” she said. 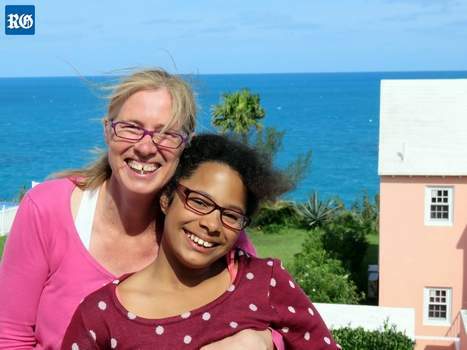 “Although I never found answers to the loss of Colin, I came to rest and I knew I always loved the community in Africa, so I went back with my daughter. Shekinah, who has been to Bermuda three times before, was also happy to be back in the country of her birth. “It feels good to be here,” she said. 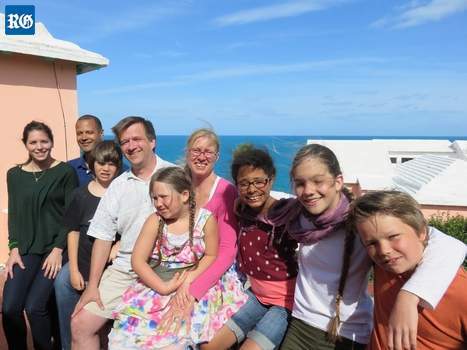 “I like the beaches and especially the people.” Over the past two weeks, the Rossow family have spent time with Mr Lee’s Bermudian family, while Mr Lee’s son Christopher and his wife, Tiffany, also travelled to the island from their home in Toronto for the reunion. Murder victim’s widow and child find joy.